According to the NHTSA, distraction causes the deaths of 3,477 drivers in the US, with more than 390.00 injured. In Spain, it is the main cause of traffic accident. Anticipating distraction accidents is the key to minimizing risk. The first consequence of a distracted driver is lane drifting. The Lane Departure Warning helps the driver avoid distracting situations. The Artificial Vision System includes a camera that points towards the road. The camera detects the the lanes on the road and the position of the vehicle. An Artificial Intelligence Engine computes information in relation to the position of the vehicle, its speed and the use of flashing lights to determine if the vehicle is turning away from the lane. A Lane Departure Warning System alerts the driver through haptic feedback, vibrating driver's seat. 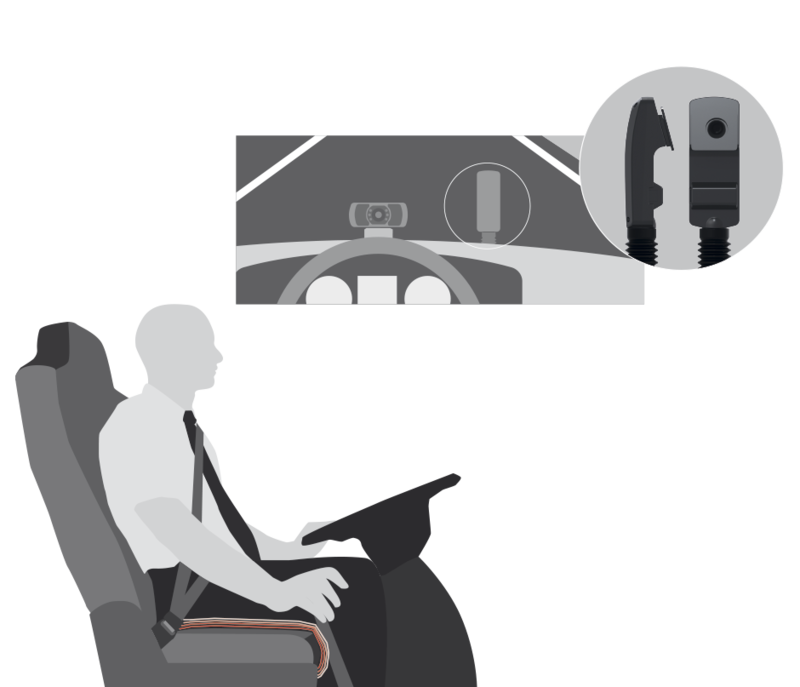 It alerts the driver when he drifts into a lane by making his seat vibrate. The camera can be adapted to different heights and inclinations of the windows. The window attachment is removable so that the glass can be changed. The alert can be incorporated into the Fleet Management application to evaluate the driving safety of the drivers.